Are you looking for the best client holiday gifts sure to be loved? 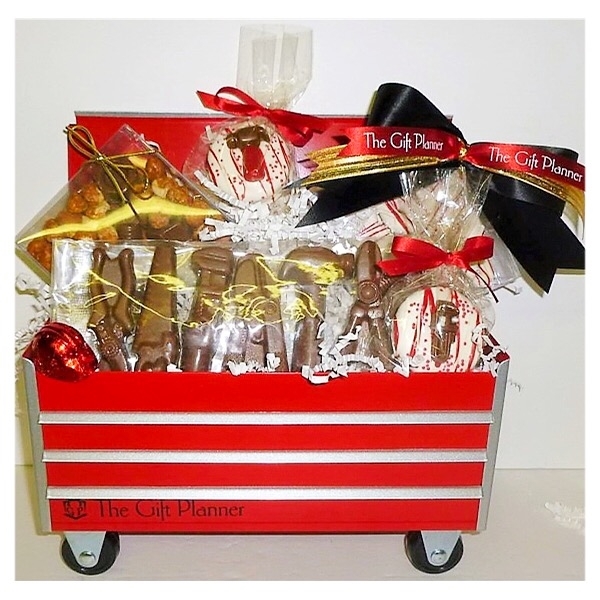 The Gift Planner has a large selection of gift ideas for any corporate need. Imagine putting your logo and message on a giant slate of chocolate! Yes, that is correct! A delicious way of advertising your company! Choose from a delicious 2 lb. custom chocolate bar or 1 Lb. custom chocolate bar . Available in milk or dark chocolate. The best client holiday gifts sure to be loved are gifts that are useful and yummy. Clients love unique gifts that stand out. Gifts that they do not see all over the place. Do you want your gifts to stand out and be the talk of the town? Take a look at these one-of-a-kind themed gifts. Not only do they say thank you, but they show your client what you do! Delicious Custom 1 LB. Chocolate Bar Branded With Your Logo And Message! The Gift Planner has created custom one-of-a-kind gifts that will make your company stand out. Created to be useful and delicious. 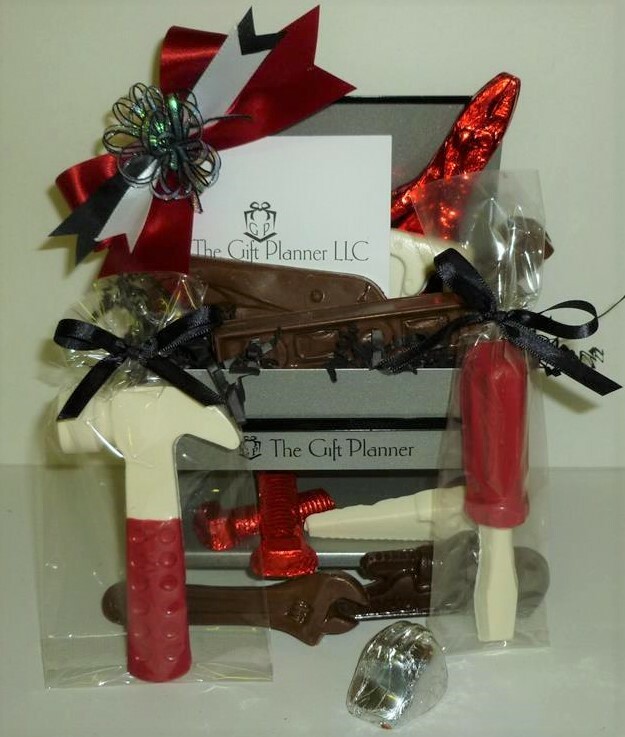 Each gift can be personalized using your logo, message and corporate colors, Create your gifts with your choice of chocolate tools that best represent your industry. You pick ribbon and bow color and edible decoration color too. Put on the final touch by imprinting your logo and including a personal gift message. Create the perfect themed gift that represents your company and industry.. Check out our miniature rolling tool cart collection and our Jo Jo toolbox collection. Both collections are adorable and unique. 100% metal toolbox gifts that are filled with themed chocolate tools and other gourmet snacks. A unique one-of-a-kind themed gift basket perfect for your favorite clients.